Around and About maps bring local mapping to a wider audience. They are very popular with local people but are also ideally suited to visitors looking to take a short walk in the area in which they are staying. 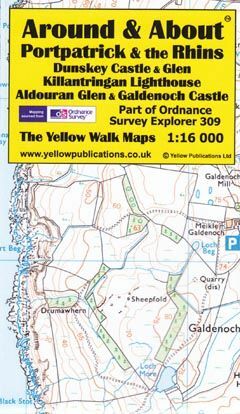 Based on Ordnance Survey's Explorer mapping blown up from the standard 1:25 000 scale, these maps really make navigation trouble-free and, with the greater clarity, help the user to spot interesting features so easily missed on a normal map.